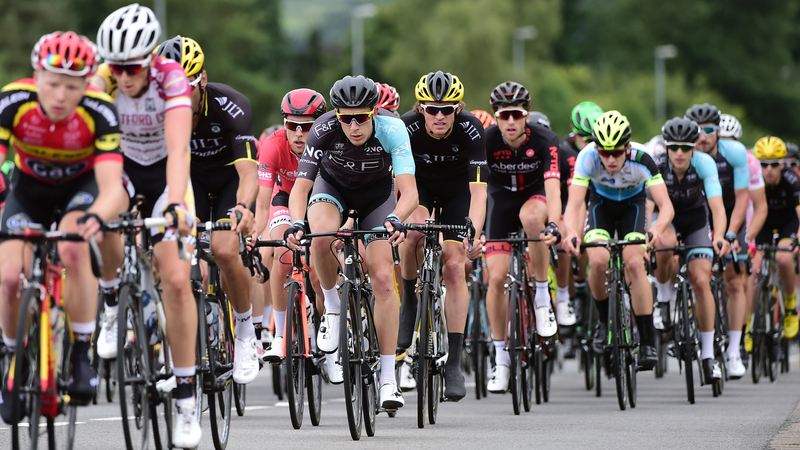 The 2015 British Cycling Elite Road Series is ready for a thrilling climax at the Leicester Castle Classic on Sunday 16 August, with 80-kilometres of action in the heart of the city deciding the Grand Prix Series and team standings. 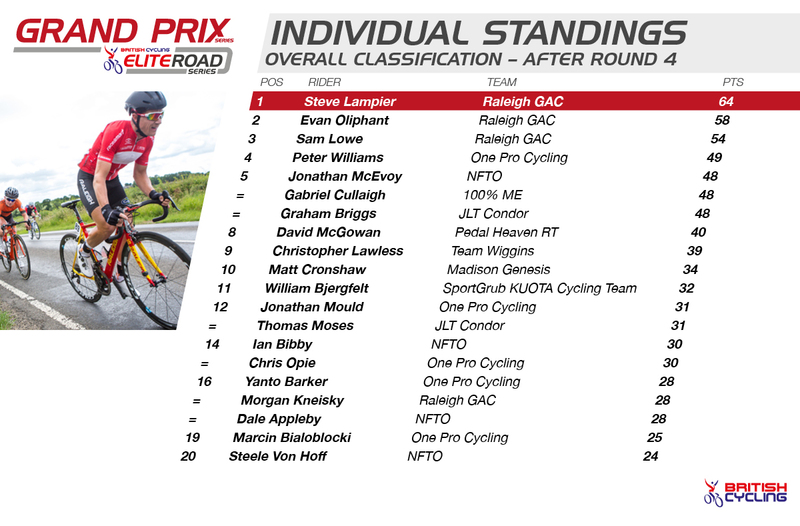 While Team Raleigh GAC’s Steve Lampier has the overall series win in the bag, the battle for Grand Prix series and team honours is wide open. Lampier had a sub-par performance at the penultimate round, the Grand Prix of Wales, in Abergavenny, finishing outside the points for the first time in seven events. However the 31-year-old from Truro had already done enough, with 156 points, to take the overall win with two rounds remaining. 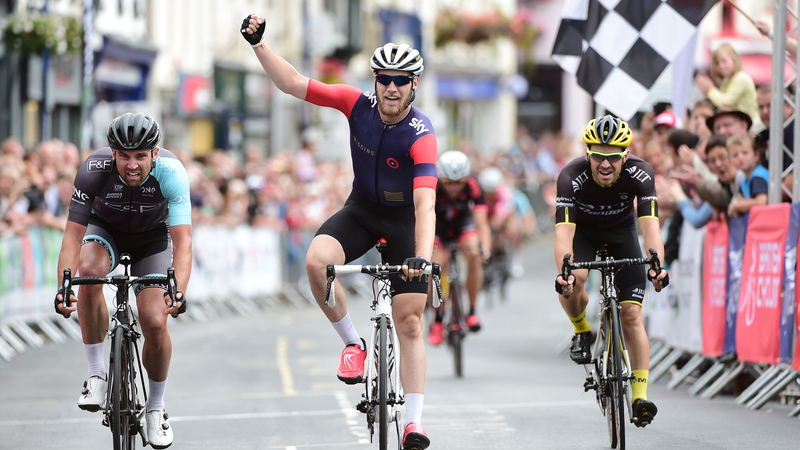 Behind him however, 2014 series champion Yanto Barker (ONE Pro Cycling) leapfrogged Ian Bibby (NFTO) into second place, thanks to a second-place finish in Abergavenny. 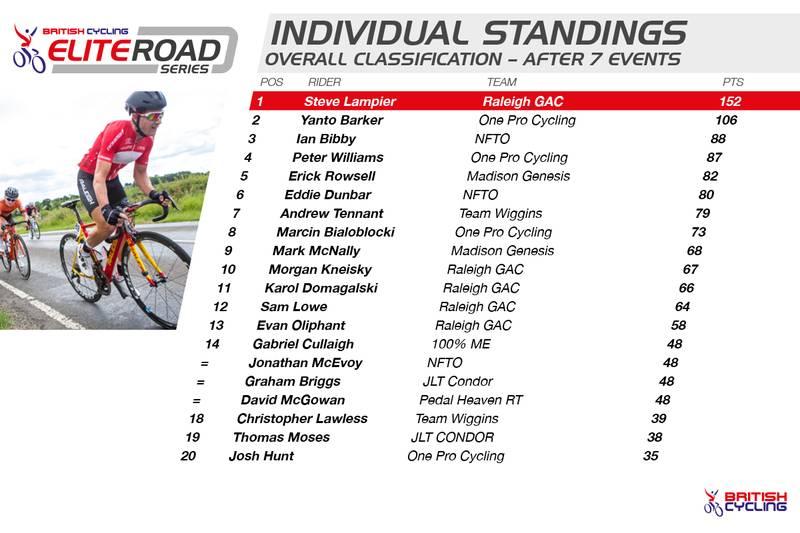 The Grand Prix Series, which began in July with the Stafford Kermesse, paints a picture of late-season dominance from Lampier’s squad, Raleigh GAC occupying the top three spots. Lampier leads on 64 points, with Evan Oliphant second on 58 points, four ahead of under-23 teammate Sam Lowe. However, with 30 points available for a win, it’s all to play for in Leicester. Form man Graham Briggs (JLT Condor) lurks on 48 points, in joint fifth place. 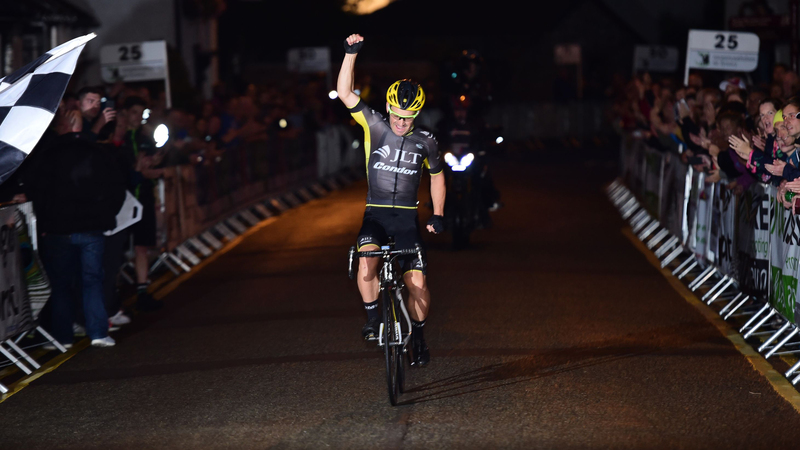 The Yorkshireman has taken back-to-back wins the final two Elite Circuit Series rounds and placed a close third in the Grand Prix of Wales. The kermesse-style course for Leicester will suit the Briggs, whose form has blossomed late this year after a season wrecked by illness. 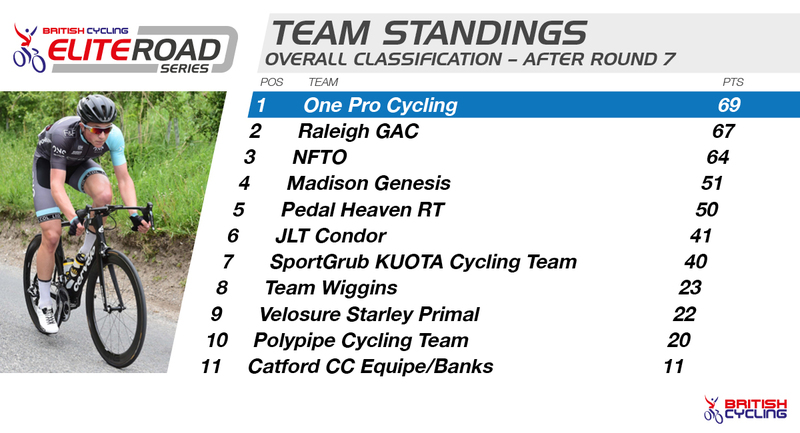 The team competition too is on a knife-edge, with ONE Pro Cycling in a slender lead, on 69 points, two ahead of Raleigh GAC, while NFTO are a further three points adrift. The team classification is calculated on the finishing positions of the first three riders in each team, with 11 points available for the strongest squad. Raleigh GAC will be looking to place their strong men as high as possible in the final event in an attempt to take a clean sweep of Grand Prix, individual and team wins. The final round of the series will take place on 20 laps a city centre ‘kermesse’ style course – a format derived from Belgian road racing. Four kilometres in length, the Leicester Castle Classic starts and finishes close the city’s medieval castle ruins. 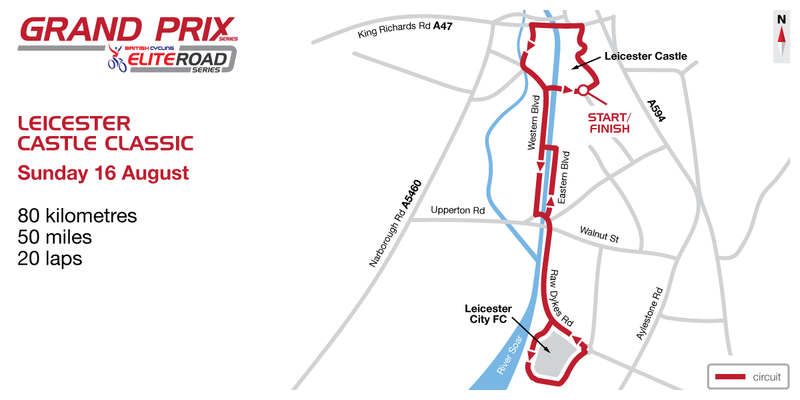 The route loops around the north of the castle, crossing the River Soar before heading south as far as Leicester City Football Club’s King Power stadium before returning to the start.